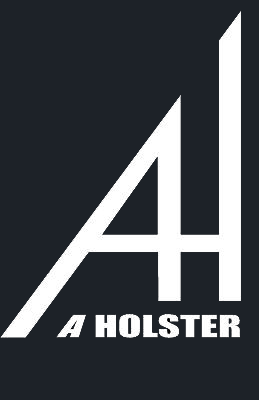 Aholster Company manufactures handmade custom Kydex holsters and have been doing it right for over FIFTEEN years. Our evolving and unique product line has been influenced by our valued customers over time including qualified instructors, combat veterans, and law enforcement personnel. Years of research have gone into Aholsters simple, but practical Kydex holster designs. Each of our concealment holsters are custom made to order, every time. Within the continental US, shipping is only $3.00, and we provide tracking with all of our orders to ensure safe and sound delivery of your custom Kydex holsters and accessories. If you like it (and, you will) tell a buddy. If you don’t like it send it back to us and Aholster will refund your order – no questions asked. Please understand that currently, we have a 2-3 week lead time on shipping of all products. The Aholster Company appendix wedge holster is just like all the other appendix Kydex holsters out there except for the added Wedge feature. The wedge adds padding between the user and allows the user to adjust the position of the grip in relation to their body and position on the belt (see video on see more page). This allows for a more comfortable carry as well as a quicker transition when drawing the weapon from the holster. The wedge will also cut down on the movement (slide, rake, cant) of the holster while worn properly on the belt. The Kydex is .080", colored options available. Nothing fancy or new here, just a little common sense. Belt Aholster. If you like the concealability of an inside the waistband (IWB) with the comfort of an outside traditional holster, you will like this holster. The belt holster is molded (bent) to conform to the curve of your hip and waist when worn in the 4 or 8 o'clock position on your belt. This helps to reduce printing and keeps the firearm and its grip tucked tight against the body. The weight of the firearm is carried evenly across your belt, unlike many traditional single point carry holsters, using 2 rubber adjustable straps (1.25" to 1.75".) The straps simply wrap around the holster and your belt and are snapped with the Pull-the-Dot (directional) safely snaps used on most military and police issued equipment. Easy on, very easy and quick off. .080" Kydex. The design has a 15% rake allowing a complete firing grip on your weapon with it still in the holster. The mag release of your weapon is accessible while the firearm is holstered to allow a practical reload. It has several options including a sweat guard, adjustable retention, and an open bottom design to help keep debris from collecting in the holster. It is available right or left handed. This holster is also a good choice for the ladies being that it works well with their natural curves unlike most of the other holsters on the market. It has become popular with all folks, male or female, small or not so small, and the short or tall. The belt holster is a practical and comfortable option to carry your weapon, especially for those that like the bigger traditional caliber weapons. The Shootrite Aholster has the sight catch option and .090" Kydex. IWB holster: Inside the Waistband design. Right or left-handed. 15% Rake. Belt loops available in 1.25" to 1.75" widths in loop, clip over and J-hook pattern. Adjustable retention. Sweat guard. Open bottom design. Kydex thickness .080". Mag release is accessible while the firearm is holstered. This Holster is designed to wear just behind the hip. Aholster Mag Pouch. Several different mag options available (see order page.) Designed to wear right or left handed carry, ammo forward or rear carry. Adjustable retention. .080" Kydex. NO hardware will come into contact with your mags. Clip over belt attachment. Mag pouch will keep mag close to the body to help reduce printing. The Aholster Company pocket holster is considered by some to be one of the best pocket Kydex holsters on the market today. We specialize in Kydex concealment holsters. The Pocket holster is one of our top sellers. It is used by civilian and law enforcement for an everyday practical way to carry a backup weapon as well as in some situations, a primary. The Pocket is available in right or left-handed carry. This design is meant to be worn in the front pocket of your pants. The starndard pocket holsters are made with .060" Kydex. It is molded to curve with the leg to reduce printing and helps to keep the firearm in the perfect position to draw your weapon if needed. The outer side of the holster is rounded outward to keep the profile of the weapon to a minimum. Drop your holstered firearm into your pocket and it practically disappears. Unlike many of the other holsters on the market, you can get a complete firing grip on the weapon with it still in the holster (without altering the holster.) The mag release is covered to keep the mag from being released without your knowledge. Simply draw your weapon out of your pocket and the upper or lower hook of the holster will grab the seam of your pocket leaving the empty holster in place. If needed, the aggressive hook on the bottom of the holster will allow you to rake the weapon and holster across an object to draw the weapon one handed in any situation that the combo is not in our pocket. No fancy tricks, it just works. The Aholster Company Backbone pocket holster is very similar to our standard pocket Aholster. All the same great features with the added benefit the slimmer profile being that the cylinder of the revolver is cut out. The Backbone is only available for our revolver line. The thickest part of the weapon/holster combo has now been slimmed down as far as possible to help with printing that a revolver typically shows. This holster has been shortened to help with those not so deep pockets. Kydex .080" in multiple color options. Kydex is an extremely durable acrylic/PVC alloy, created and distributed from the Kleerdex Corporation. Kydex is extruded in a wide range of colors, patterns, textures, thickness, and grades to optimize long-term performance, appearance, and cost-effectiveness. No other thermoplastic stands up to impact, scratches, and gouging like Kydex. It offers notched Izod Impact resistance to 18 ft. lbs./in. (953 J/m) and is able to withstand various levels of abuse. Due to its high degree of toughness and resilience, Kydex can also be stretched at room temperature to twice its original dimension without breaking. Custom Kydex holsters are more concealable. The material strength of Kydex allows for greater strength with a fraction of the thickness associated with leather concealment holsters. A thinner holster significantly decreases printing. Kydex gun holsters have no break-in period. Your holster will fit the same every time. Whether it is your first draw or your 1000th draw. This means that there are few; if any, adjustments needed to start carrying your holster and firearm. Kydex gun holsters are weather-proof. Kydex holsters can be worn in the rain and do not swell or contract due to sweat, humidity, or extreme weather. In fact, Kydex will help keep the moisture produced by sweating from coming into contact with your firearm because Kydex will not absorb moisture, unlike most conventional holsters. "Hi Alan, I warmed up the trigger guard like you said and now the retention is perfect. On top of that the design of your belt holster is pefect. You nailed the ride height and the cant is a good middle ground between concealability and presentation. Thanks for your service. You got a loyal customer." "Al, I wanted to let you know that after several weeks of wearing my belt holster with my Glock 23 that I have never felt a more comfortable, concealable holster in my entire 30+ years in law enforcement or as a retired Trooper. Thank you for making a top notch quality product and keep up the great work. "